Set among the rolling foothills of the Black Mountain Range in Las Vegas, the new Rio Secco Golf Club provides a world-class golf experience unlike any other. The 18-hole, championship course is designed primarily for the guests of the Rio All-Suite Hotel & Casino and is located just 12 minutes south of the award-winning resort. 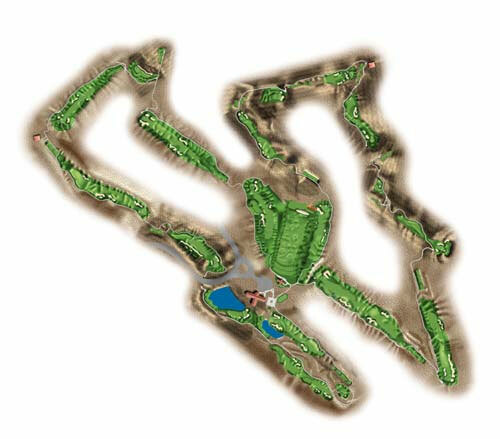 18 Hole Championship Course Designed by Rees Jones, Golf World Magazine's 1995 "Golf Architect of the Year" and mastermind behind over 100 of the world's most fabulous courses, the Rio Secco provides both stunning scenery and challenging play. With breathtaking surroundings and natural beauty all about, this course provides a golf experience that is simply nonpareil. ADDRESS 2851 Grand Hills Dr.